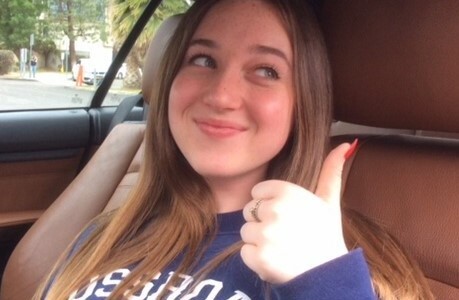 After two failed tests (my license was suspended following erratic driving due to wrong medication) the DMV suggested I take a course with a driving school before taking another test. I took their advice. After researching several and talking to them, I settled on Dollar Driving School. And how I thank my lucky stars for that decision! David, instructor, was assigned to me and he was tough and strict. But exactly what I needed. He ironed out all the bad habits I’d acquired over 40 years of driving, the ones which had caused me to fail the 2 previous tests, and restored my confidence. Thanks to his sterling efforts I finally passed the test on 3rd try and my license was reinstated. The DMV assessor even told me ‘well done’ and that I was ‘very good’. All thanks to David who was amazing. Thanks also to Olga who helps run the school; her care and concern really helped my state of mind just prior to the test. I shall now make sure I return every year for a ‘brush up’ for matured drivers. I am so impressed with Dollar Driving School. Everyone facing a first or new driving test should seriously consider taking a course with them. 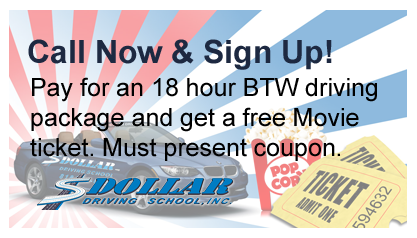 Sign up with Dollar Driving School and you won’t fail! I am ascertaining that Dollar Driving School Inc. in Woodland Hills California, under the leadership of Robert Jay Stahl helped me regain my license. I am over 90 years of age. Robert Rado was my primary driving instructor. His patience and caring instructions provided me with the opportunities again to further do my life’s work as a volunteer at UCLA and various health institutions. We couldn’t be happier about Dollar Driving School. Like parents everywhere, when it came time for our son to get his license, we were worried about how he was really going to learn how to drive. Of course he could practice with us, but to really learn how to be a safe driver, we wanted the best we could find and afford. Fortunately for us, a friend recommended Robert Stahl and Dollar Driving School, and we couldn’t have been more satisfied. However, the best sign of how good Robert and Dollar Driving are is the fact that when we drive with our son now, he still recalls and follows what he learned with Robert: good habits which will help him for the rest of his driving life. We feel that it is one of our most important investments in our children to provide the best in driving education. 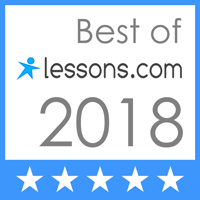 It goes along with placing our highest value on education, generally, as the best preparation for life, but driving lessons have the added ingredient of teaching the next generation(s) how to, literally, navigate through the world, and, the important safety elements which will give them the best chance of avoiding injury. It is a complicated world out there, but there is also so much to see and enjoy. 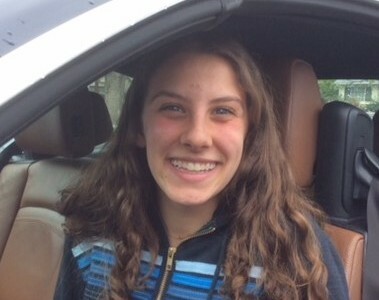 In our family, good, and safe, and fun driving is an important priority. Dollar Driving is exactly what we had hoped for, and we are very grateful for Robert and his excellent team’s dedication! Dollar driving school has been the most recommended by all my friends and I am so glad I chose to take lessons with them! 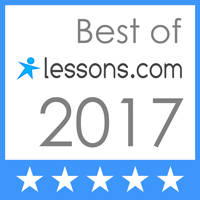 My coach was incredibly clear and responsive and taught me everything I needed to know about my license test. The whole staff was very eager to help me with anything I needed and furthermore helped me to pass my license test! Thank you Robert and Jackie and all of Dollar driving school! I took driving lessons at Dollar Driving School twice and it was a good experience. The teachers are very clear and patient in explaining and showing. The school is located in a good area.